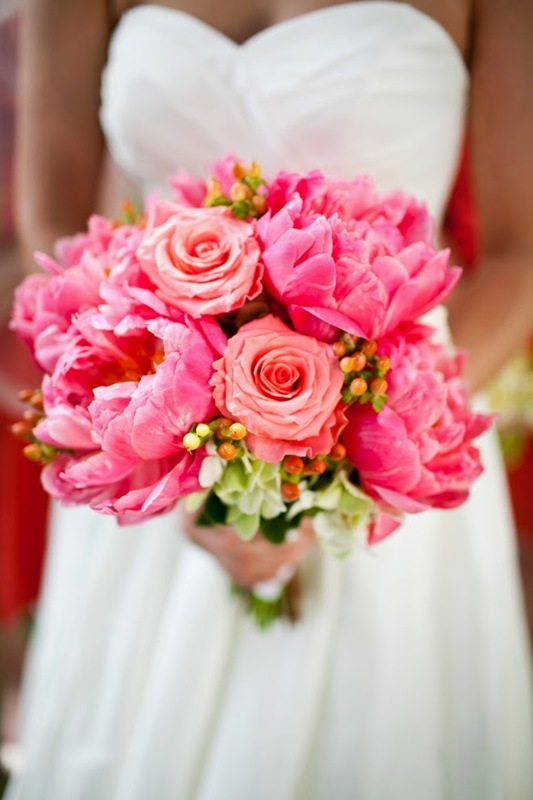 Chances are you will purchase more flowers for your wedding than at any other time in your life. 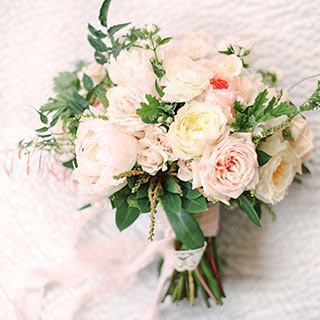 Choosing the perfect wedding bouquet is almost as important as picking the perfect gown. 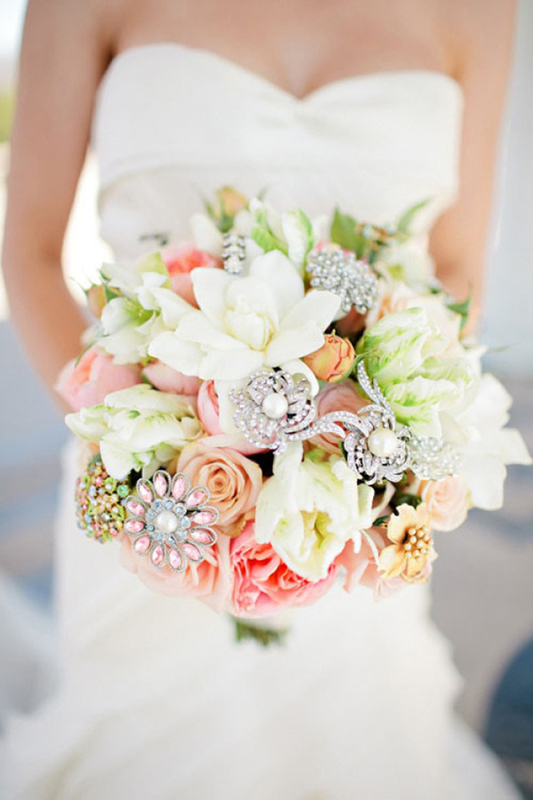 There are many different styles of wedding bouquets and which style you choose usually depends on your wedding dress. When you are having your wedding is also an important factor when considering which bouquet is perfect for you. 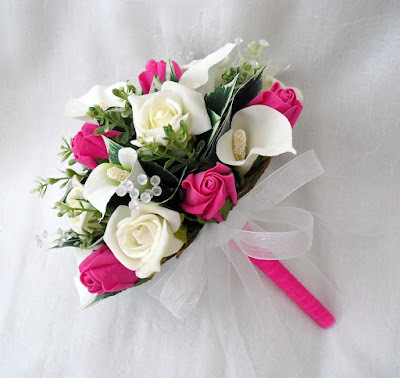 Wedding bouquets come in many different styles. The most traditional and formal type of wedding bouquet is the cascade. It is a beautiful water fall like spill of flowers in a hand held base. As the name implies the flowers cascade down like a waterfall. 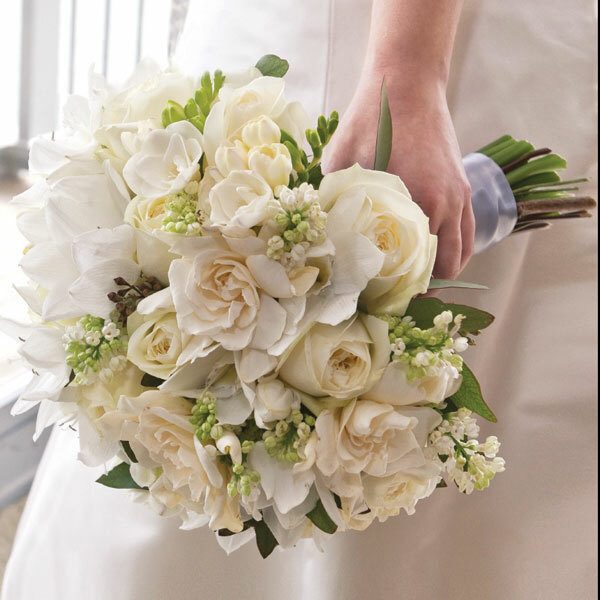 The traditional flowers used in a cascade wedding bouquet are white and are traditionally roses or lilies. 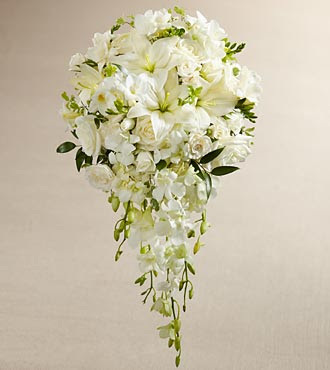 The cascade wedding bouquet has the appearance of being loose and free flowing, and should match the dress. The perfect dress for a cascade wedding bouquet is the traditional wedding dress with a long flowing train. 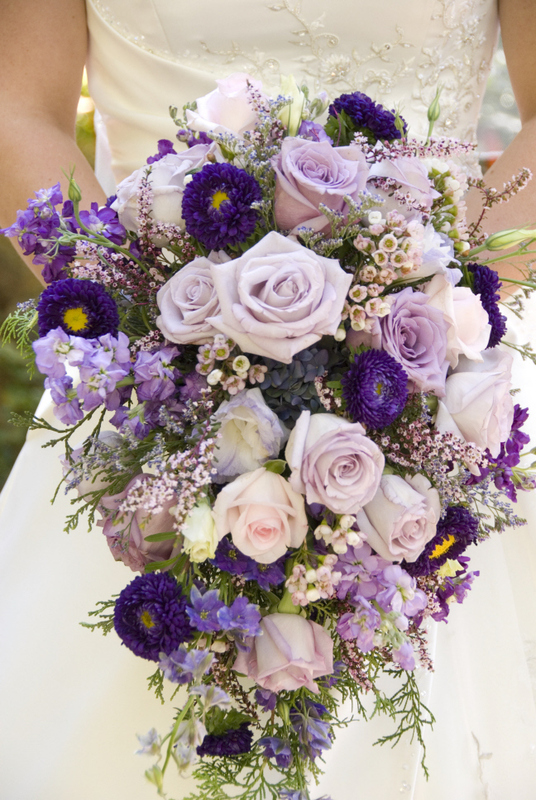 Another traditional wedding bouquet is the classic hand tied bouquet. 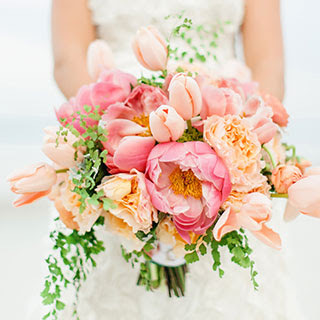 It usually consists of a bunch of blooms anchored in a bouquet holder and either wired in or hand tied. This option gives the look of fresh picked spring flowers and is usually used in spring weddings. This is a very versatile wedding bouquet and looks great with any type of flowers or wedding dress. If your going for something a little less traditional then there is the nosegay. The nosegay is a general term for any small and round cluster of flowers cut to a uniform length. 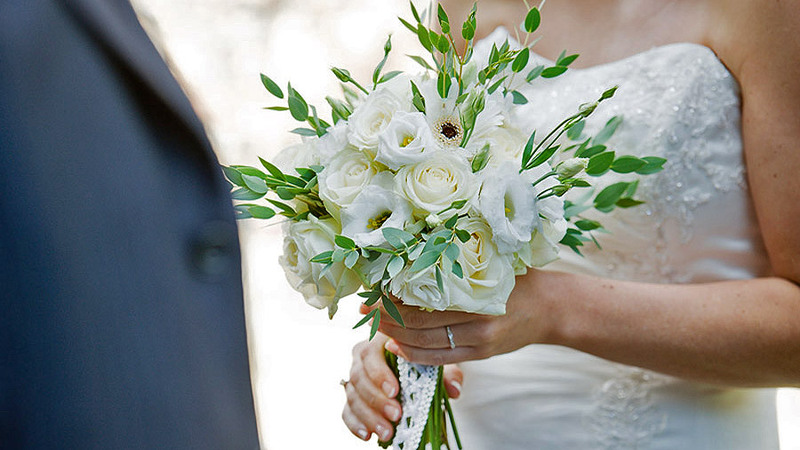 There is typically very little greenery in this type of wedding bouquet. 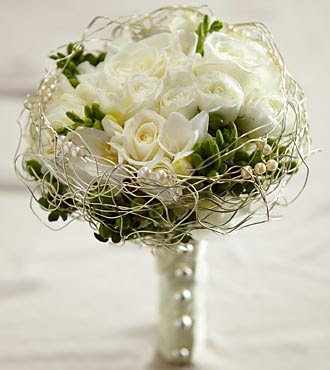 If you are thinking of a Victorian theme for your wedding then the nosegay wedding bouquet would fit in perfect. For an even more Victorian look you can replace the typical bouquet holder with a tussy mussy. A tussy mussy is just a silver carrying cone that can replace the bouquet holder. 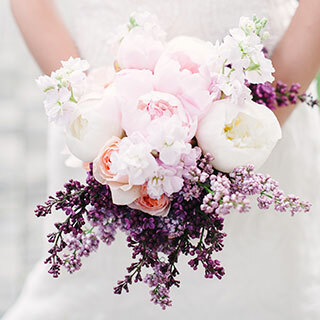 Two other less traditional wedding bouquets are the arm bouquet and the composite. 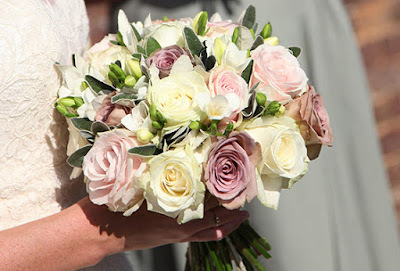 The arm bouquet is exactly what the name implies, an elegant crescent shaped bouquet designed to be carried in one arm. 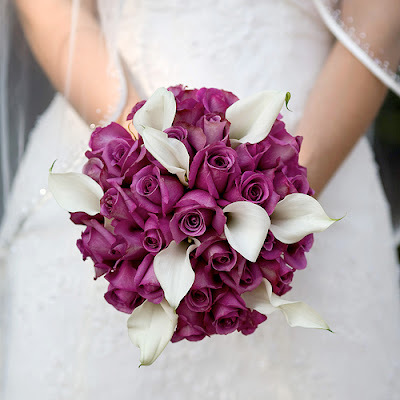 The composite wedding bouquet is a handmade creation in which several different petals or buds are wired together on to a single stem to give the impression of one giant flower. The type of wedding dress you wear, the time of year your wedding will be held, and the colors of your wedding will all play a part in the type of wedding bouquet you pick. Picking local and in season flowers for your wedding bouquet will help lower the cost and will guarantee freshness. 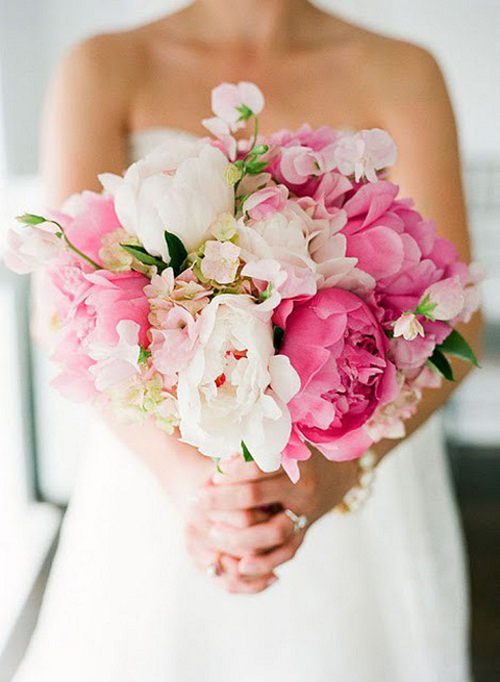 Silk flowers are also becoming a popular option for wedding bouquets.